If you have recently searched for the best website making platforms, many WebPages on the very first page on Google might have suggested you WordPress. Webmasters and experts recommend WordPress than other CMS frameworks as it is easy to use and popular. Above all, it offers unlimited resources to the users. Thousands of free and premium themes, plugins, addons, and extensions provide you plenty of choices while online tutorials, guides, tips and tricks etc. make your task much easier. You can find thousands of free WordPress themes at official WordPress theme repository as well as various other theme company websites, WP resource sites etc. Some of them are very popular among the WordPress community as they provide beautiful design, plenty of features, and top-notch support. Such themes seem to be perfect pick as they are offering a list of awesome features being FREE. However, you have to understand that most of them provide just the basic features, which may not be sufficient for an advanced and full-fledged modern website. This is when you need premium themes. Premium WordPress themes usually come with highly flexible/ customizable design, powerful support, optimized and secure interface so that you can create a complete WordPress website you can rely on. Plenty of awesome features, great support, and integration of powerful WordPress plugins come as other advantages premium templates. In the nutshell, we can say that free WP themes are good for basic personal websites and blogging sites while a premium theme is needed for a full-fledged modern site with lots of online services. Meanwhile, I do not mean to say that all the premium themes are high-quality but in general, most of them are. In addition to that, there are a large number of themes each created for different purposes, due to which selecting a right theme is a great challenge ahead of you. If you are at the state of confusion which theme to choose, this blog may be helpful to you. I have gathered together 35+ best of the responsive premium WordPress themes under various categories. The themes are handpicked considering the number of downloads/ sales, customer/ expert reviews, type of support they offer, overall design and features as well as the brand awareness. All of the themes come from the experienced WordPress professionals. I have kept the themes in 8 major categories as below. You can click on any of the categories to browse the themes in that particular niche/ category. VMagazine is one of the most powerful and lightweight news magazine theme there is. It has got 6 pre-built demos that can be imported with just one click of a button. This theme has been built with the latest WordPress technology and crafted with great attention to details. This WP template is highly customizable – you can configure almost everything, switch the layout of your choice and use the options available and design professional looking news magazine in no time. This theme has multiple blog archive layouts so you can choose the one that better suits your website and attract more traffic. It has many single post style, which means you can personalize your posts with multiple article styles. 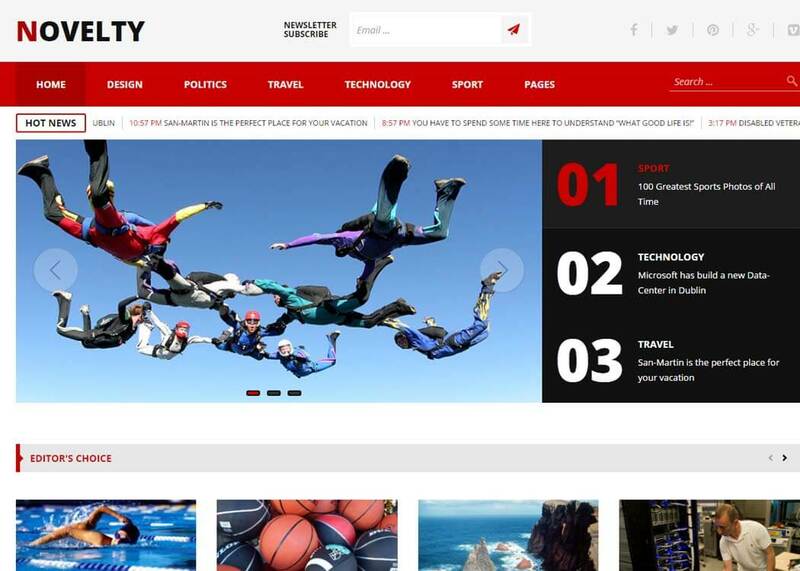 Novelty is a modern news magazine WordPress theme carefully crafted for online magazines, news, blogs, publishing reviews, journals and content sharing websites. It is loaded with lots of great features and alluring design that is sure to please your user. It features custom shortcodes, custom posts, social media integration, tabbed widgets and much more. The theme offers all possibilities to customize and manage the look and settings of your website. 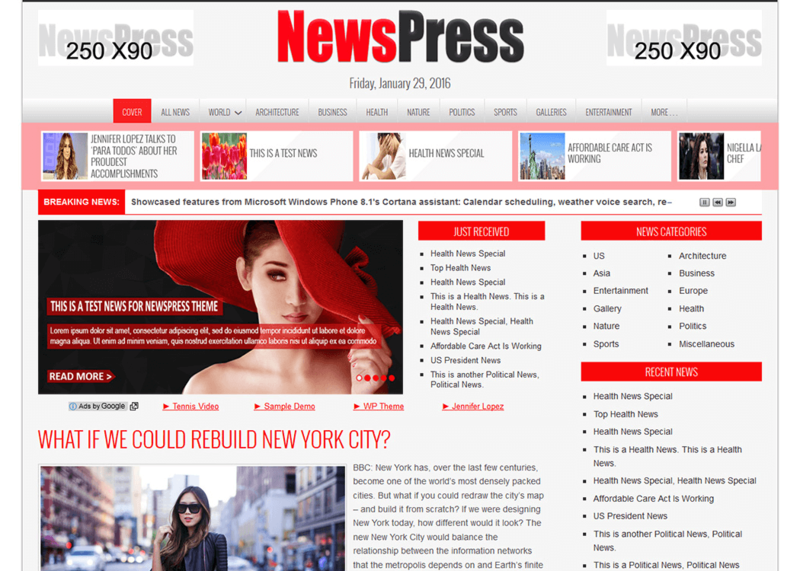 NewsPress is a fabulous premium news magazine style WordPress theme loaded with advanced features and functionalities. It is simple, clean and user-friendly as it is powered by CSS3 and is well compatible with the latest WordPress version. The theme functions well with all devices, all platforms, and all major browsers also, you can translate it into any language of your choice. It includes custom logo options, login and membership registration to let you personalize your site. 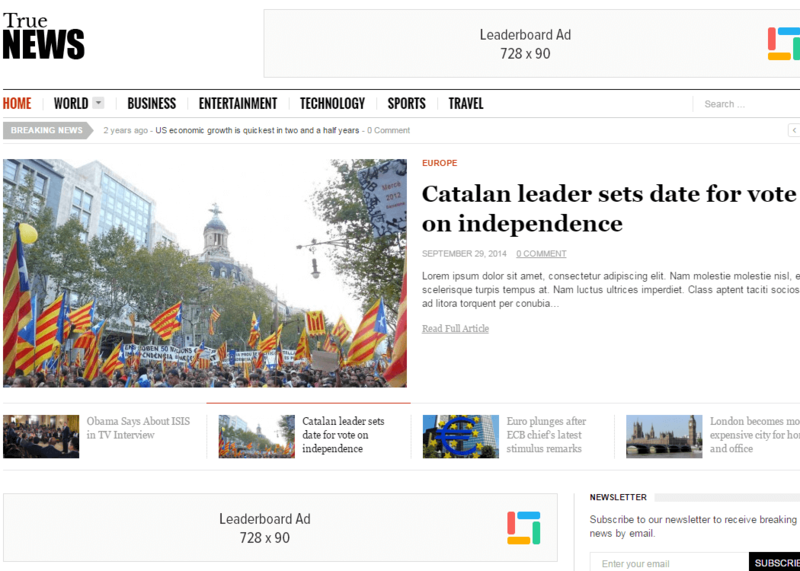 TrueNews is a brilliant premium WordPress theme for online news-magazine. It is a fully responsive theme with widgetized homepage where you can add several widgets as per your requirement and make your site more worthy. Anybody without advanced programming knowledge also can build a superb website with this user-friendly theme within few minutes. It comes with drag and drop content builder so it’s really easy to manage your homepage content and display it in an elegant way. 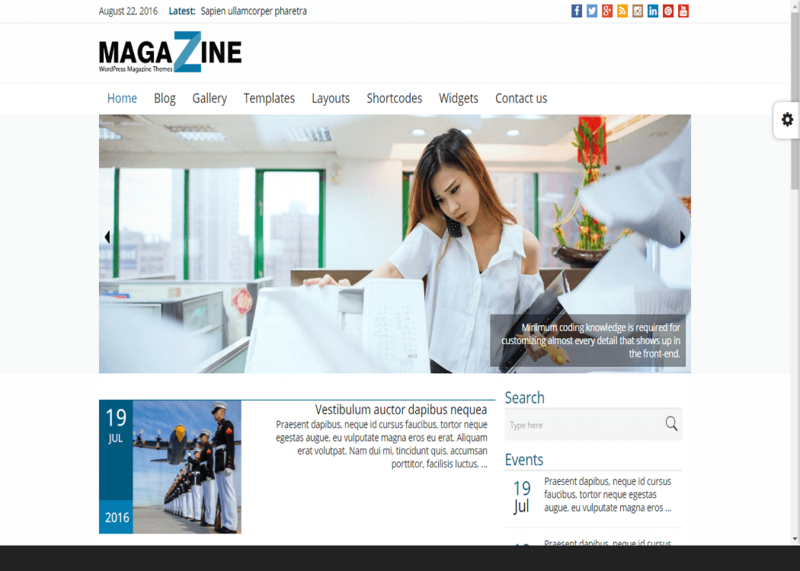 Magazine is a creative WordPress magazine theme best suited for any sort of online magazine, newspapers, editorials, journals or other reviews publishing websites. It has included all the essential features and functionalities to let you built a complete and well-qualified website. It offers large homepage sliders, multiple layout options, unlimited color options and much more with which you can create a delightful site within no time. 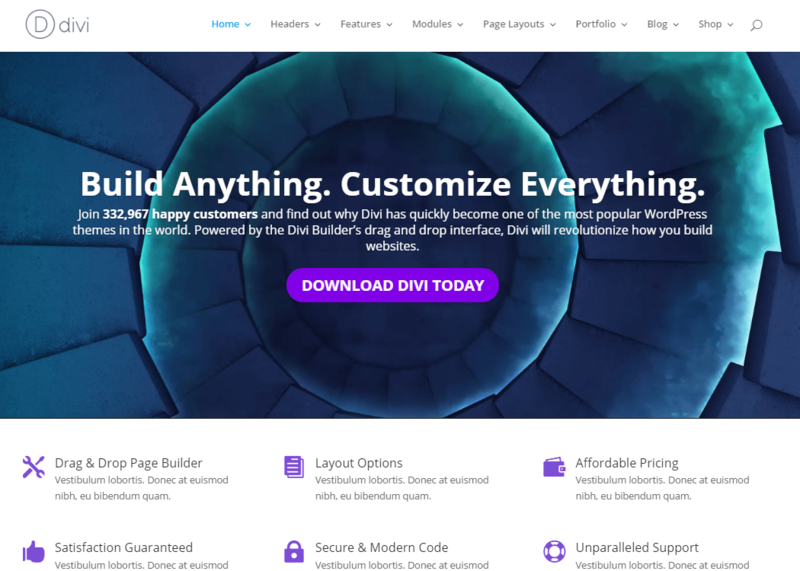 Divi is a super flexible premium multipurpose WordPress theme, complied with lots of features and awesome multiple options. The theme is inbuilt with the Divi builder which allows you to create visually appealing layouts without using a single line of code. It also provides 20 pre-made layouts to choose from. It comes with unlimited possibilities and an intuitive interface to let you create a dynamic website within few clicks. With this amazing theme, you can explore your creativity and create something unique & worthy – as there is no limitation, you can do whatever you like. 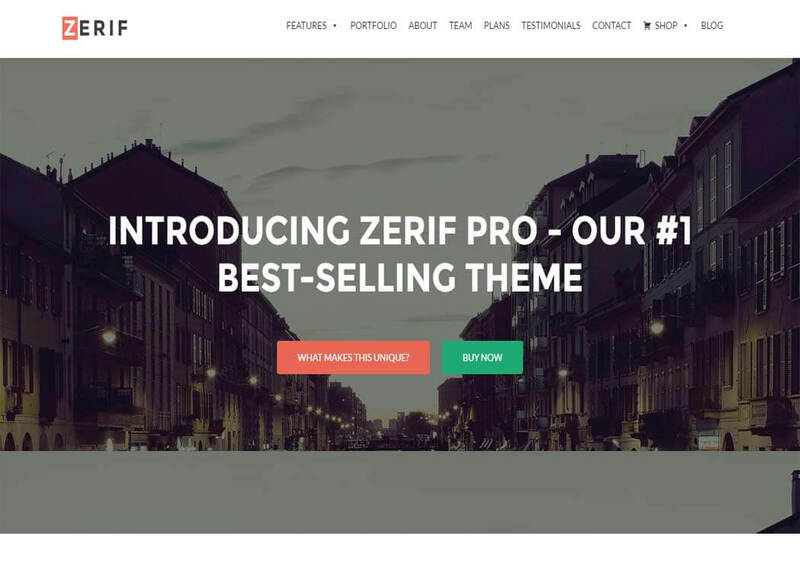 Zerif Pro is a feature-rich premium WordPress theme best suited for all types of business websites. It is a simple, clean, easy to use and a worthy theme that can be used via any platform, any device, and any browsers. The theme is fully flexible and customizable – you can shape your website exactly as per your requirement. If you are a newbie and have no idea to design a website, no need to worry, the theme has got 6 ready-made child theme – just one click and it’s ready. 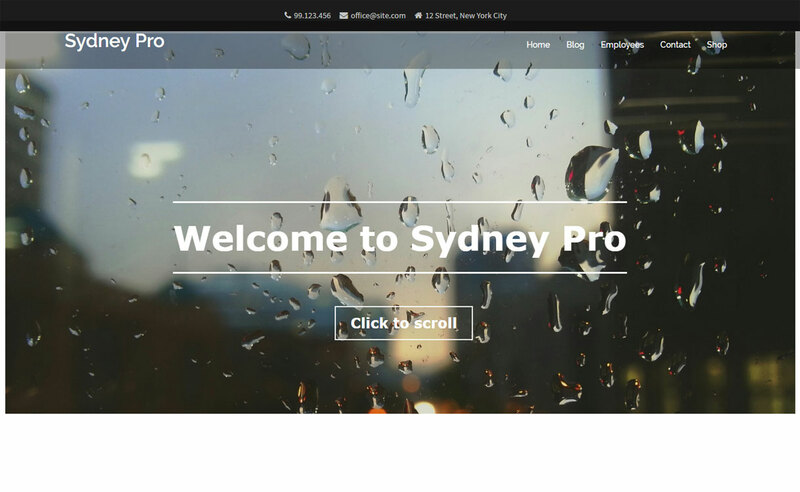 Sydney Pro is an excellent premium WordPress theme best suited for freelancers and businesses. It offers altogether seven useful page templates like contact, featured header-default etc. to make it more worthy and flexible. 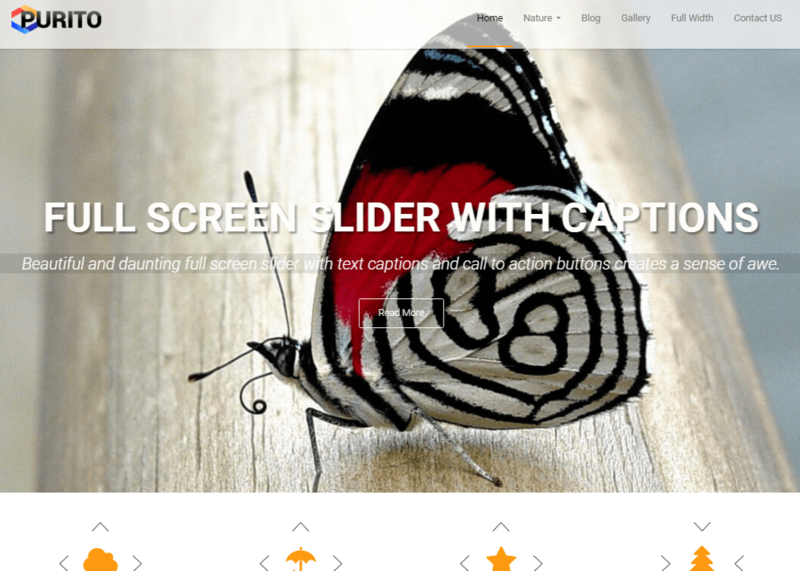 The theme supports the awesome Crelly Slider plugin which enables you to create beautiful sliders in the header of your site and helps to make your site eye-grabbing. It is a user-friendly theme optimized for fast loading speed and follows WordPress best practices. 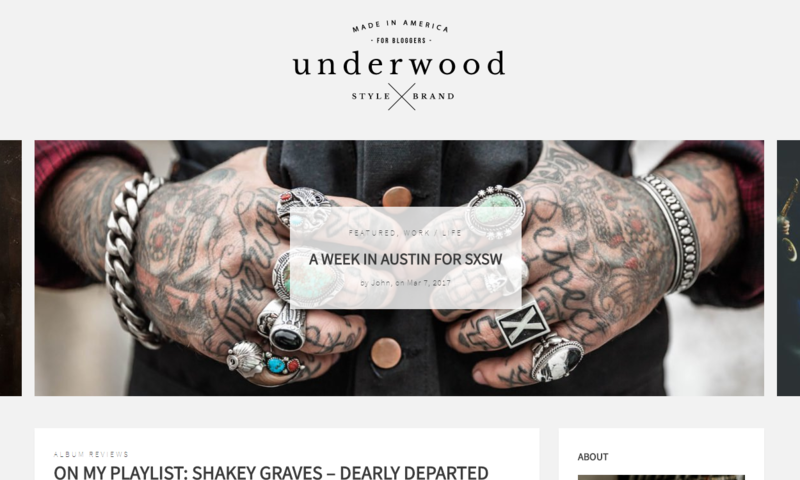 Based on the much-loved Bootstrap framework, Underwood is a premium flexible WordPress theme with a modern minimalist design that lets your content be the center of attention. The template features a multitude of stand-out elements, such as a featured content slideshow and full-width post banners. You’ll find lots of options with this theme, including 3 frontpage layouts and 9 custom post types that allow you to share different types of content such as photography, video, and audio. Other notable features include WooCommerce support, color & font customizations, parallax effects, custom widgets, and a user-friendly theme customizer. 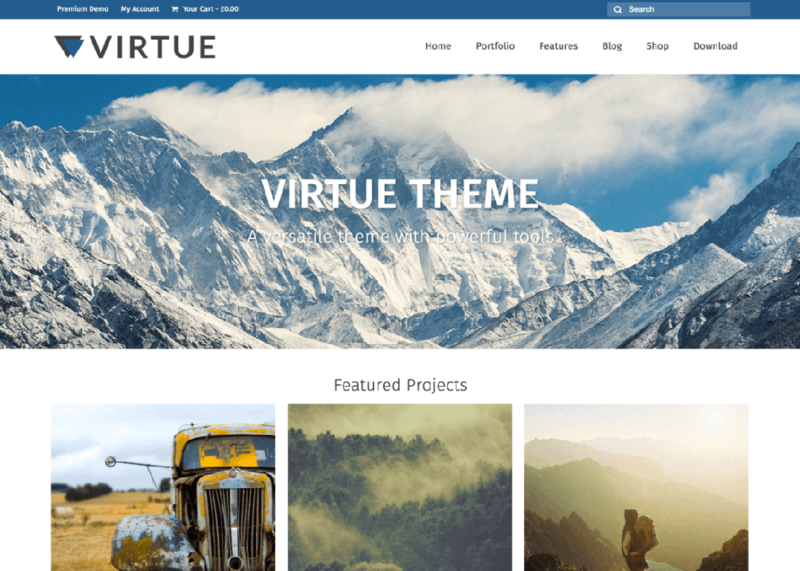 Virtue Premium is a modern premium WordPress theme that is perfect for multiple purposes like business, online shops, portfolio or personal websites. 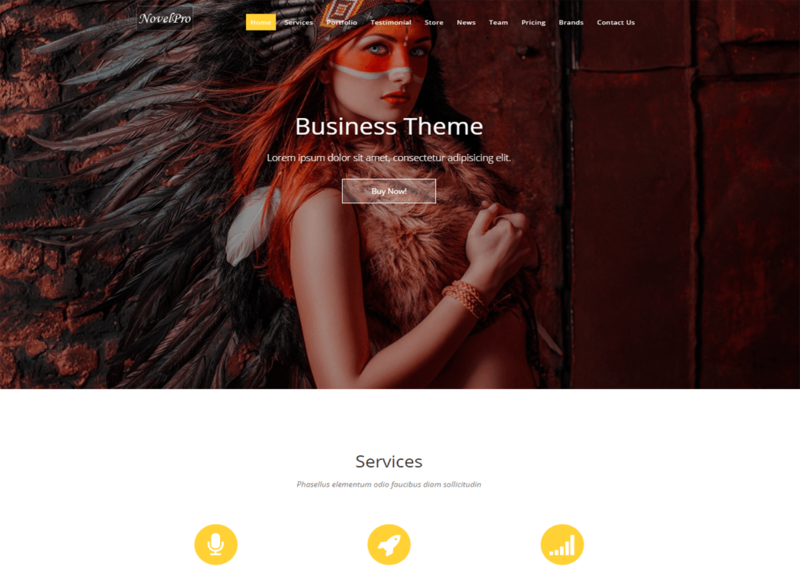 It is a versatile theme based on HTML5 and CSS3 and uses the powerful Bootstrap framework which has made it a responsive, user-friendly and fast loading theme. Its incomparable features and functionalities are developed for its best usability. It offers plenty of customization possibilities to meet your requirement and comfort you for all the ways. Simple comes with several home page layouts including a slideshow and full-width banner layout that can help highlight your images. The template looks clean and professional; whether viewed on desktops, tablets, or smartphones. Unlimited color schemes and a large collection of fonts add to the branding options you get. Choose the colors, fonts, and layouts that match your style and preferences. As the theme is fully compatible with WooCommerce, you can quickly set up an online store to sell your products. Also, Simple comes with parallax scrolling, social media and SEO tools, as well as a customizable theme options panel. 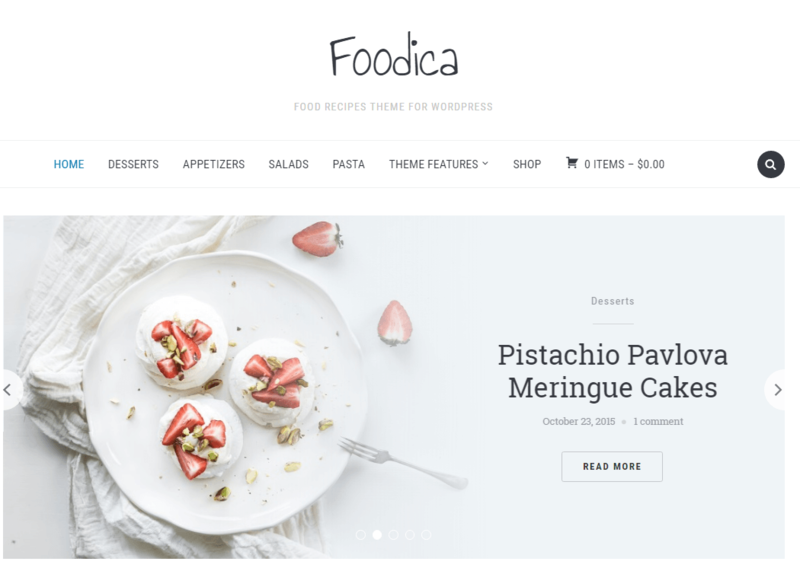 Foodica is a high-quality multipurpose WordPress theme that looks great for food & restaurants, food related blogs, magazine, and other websites. 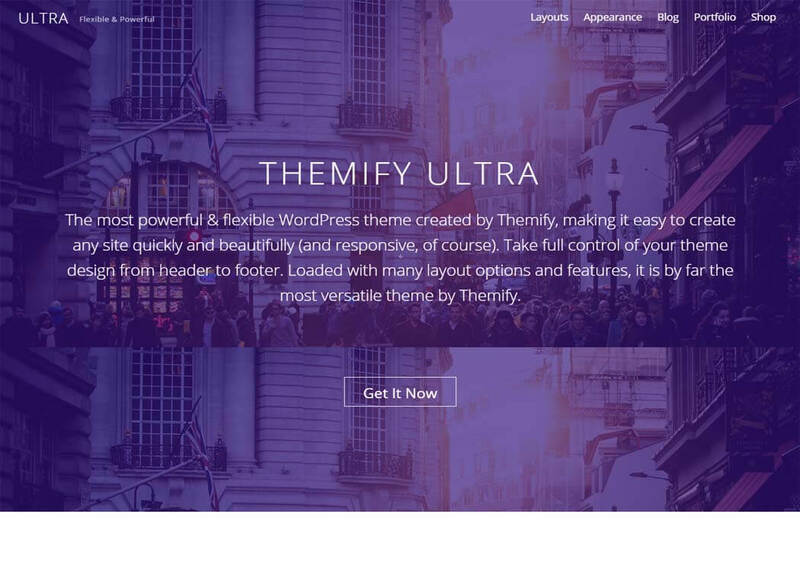 This beautifully designed theme is based on a strong and stable framework that is really easy to use and worthy to work with. It comes with a powerful theme options panel, which let you configure and customize its every element without touching a single line of codes. For more functionalities, you can add widgets in the posts as per your requirement. 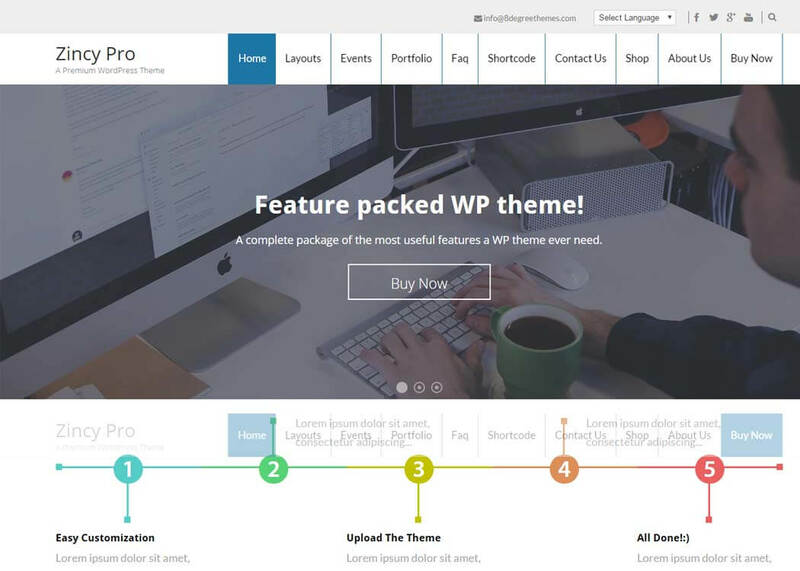 Purito is simple, clean and flat WordPress multipurpose theme perfect for different business niches. The theme is user-friendly and easily customizable, even a newbie can create a complete business website without any technical skill and coding knowledge. This lightweight and responsive theme automatically adapts to all devices and is fully compatible with latest WordPress version. For more functionality, it is compatible with all major WP plugins. 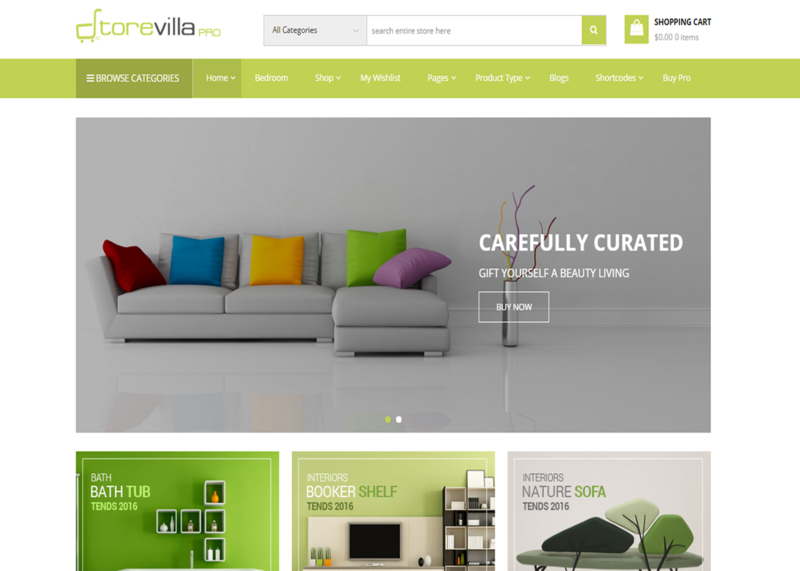 StoreVilla Pro is an outstanding WordPress eCommerce theme, packed with powerful features and functionalities. It comes with best-ever WooCommerce integration along with its extensions to let you build a complete and perfect online store and also it is well compatible with all other WordPress plugins. 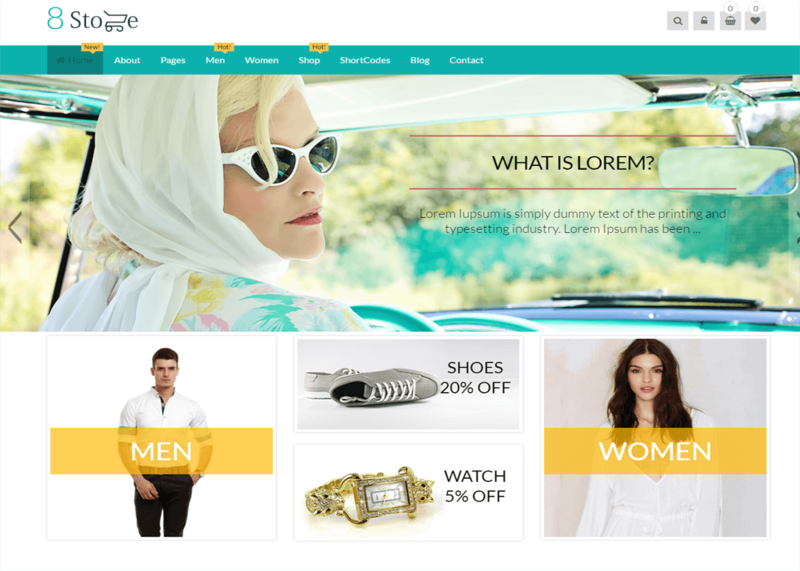 The theme offers lots of customization possibilities, ultimate eCommerce options, Slider Revolution premium plugin support and much more to give you great user experience and usability. EightStore Pro is a perfect premium WordPress theme best suited for any eCommerce/Woocommerce websites. It comprises almost all the powerful features required to operate a successful online shop – busy with huge traffic. It has got a modern sleek design, outstanding usability, and quick support which is sure to give you the best ever user experience. The theme is fully SEO friendly, translation ready and optimized for fast loading speed. Ultra is a powerful premium WordPress WoCommerce theme with flexible design and powerful features. It is a user-friendly theme that gives you full control to design your site however you like. 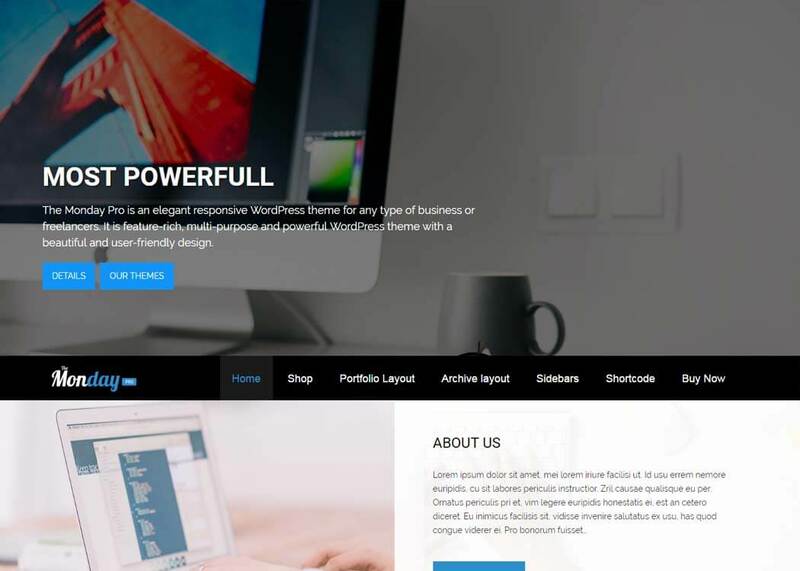 This awesome theme offers you options to create unlimited layouts using drag and drop method, parallax scrolling effect, custom styling, animation and many other. With this ultra responsive theme, you can give a professional figure to your website and make it look best among the all. You may also like to see our list of the best free eCommerce WordPress themes. 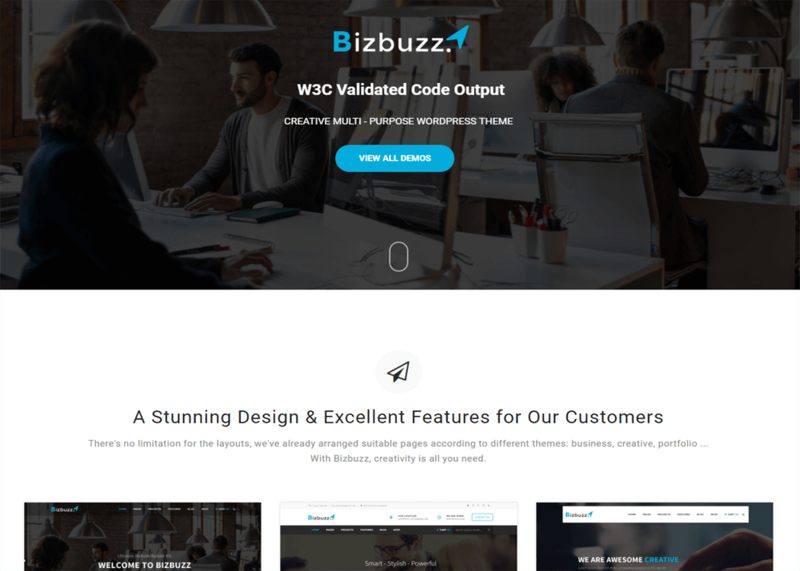 BizBuzz is a stunning WordPress multipurpose theme best suited for creative agencies, corporate, portfolio, personal blog and so on. This feature-rich theme is inbuilt with intuitive drag and drop page builder to make your work easier and faster. It offers unlimited customization options to give your website a desirable figure. It has included popular premium plugins like Visual composer and Slider revolution to upgrade your work quality to the maximum level. 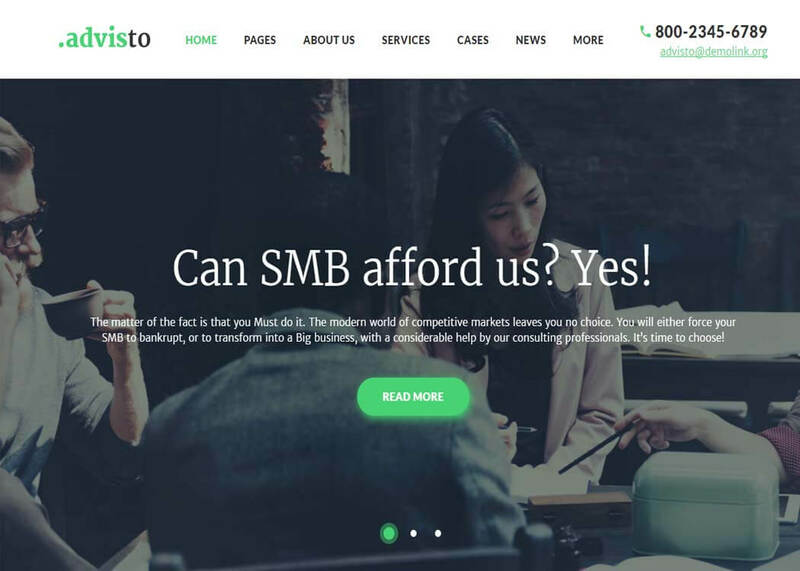 Advisto is a user-friendly premium WordPress business theme with sleek modern design. It is crafted by professionals comprising all the essential feature and functionalities based on latest web design trends. You don’t have to face complicated configuration with this theme as it allows you to customize its every element right from the live Customizer. The theme is fully responsive, SEO friendly and translation ready. 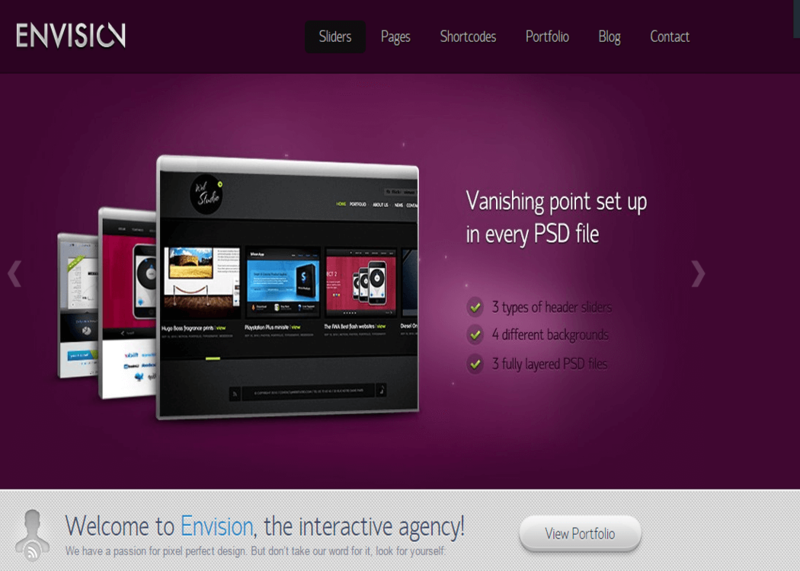 Envision is a responsive premium business theme for WordPress. It has got a full fledge elegant design, suitable for any size of businesses. The theme lets you customize everything however you like. To make your work more convenient and well organized. Envision comes with various page layouts including blogs, portfolio, contact, pricing etc. It enables you to create beautiful sliders to showcase important content, images or anything else and make your site catchy and eye pleasing. WP-Responsive is a super fine WordPress Business theme that looks great on all screen sizes and functions well with all devices. It offers theme settings page from where you can easily and quickly customize the whole theme as per your wish. The theme features multiple homepages and archive post layouts, multiple page/post layout options, featured page/post slider and much more. It has featured page widget and footer widgets which help you to enhance the advanced functionality of your site. 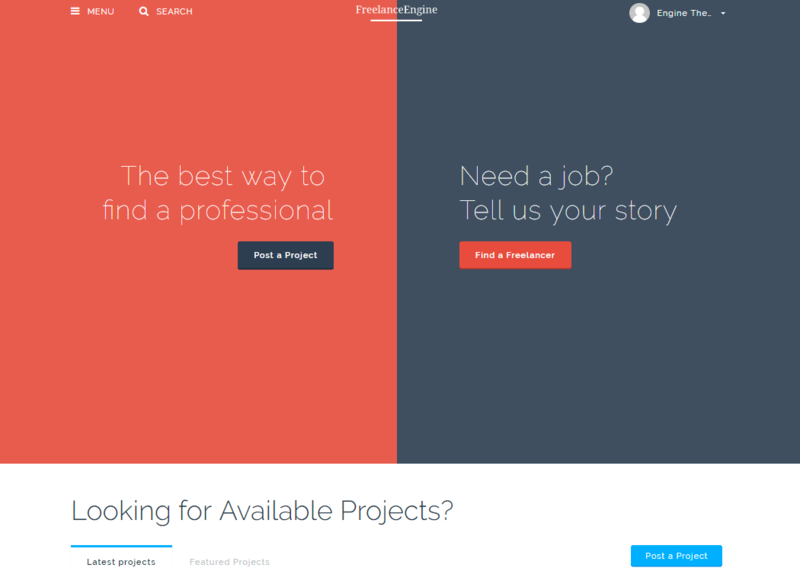 Freelance Engine is a powerful premium WordPress theme that looks great for business agencies and freelancers. It is inbuilt with Escrow system and multi-payment API to make your site the best income source for you. The theme is highly customizable – you can configure almost everything without touching any code lines. Its drag and drop editor allows you to design your site quickly and easily however you like. 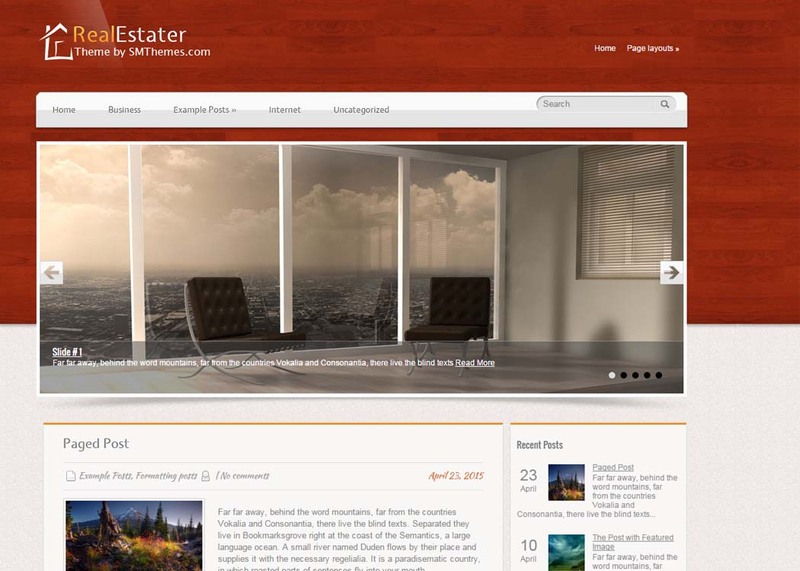 RealEstater is a versatile premium WordPress theme ideal for real estate,interior design, and other product promoting business. It is a complete package to start up your new business website as it comprises all the essential features along with a clean and elegant layout. The theme is based on SMT framework 2.0 which is really simple and easy to use. And, it has powerful WooCommerce and Ecwid integration which enables you to set up a successful online shop in no time. 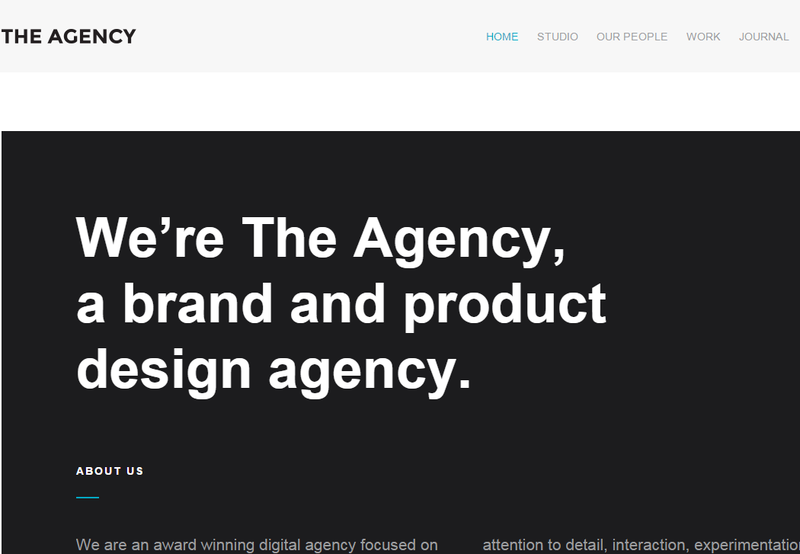 The Agency is a super flexible premium WordPress business theme with a unique and modern design. It is fully responsive and easy to use theme designed, focusing the needs and necessities of a perfect agency or corporate website. The theme comes with the advanced theme options panel through which you can easily configure and manage your website. It is fully based on HTML5 and CSS3 framework which has made it a user-friendly and fast loading WordPress theme. 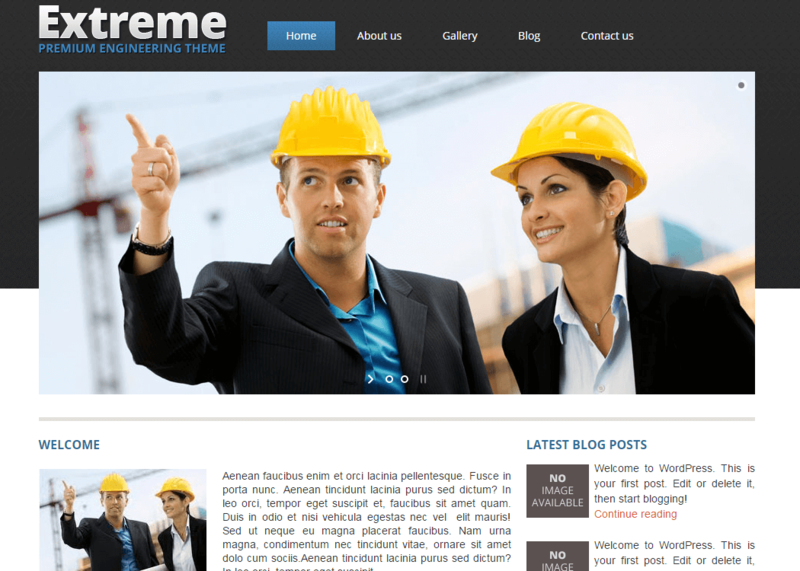 Extreme is an amazing WordPress business theme with wonderful functionalities. This feature-rich theme is crafted so beautifully that is perfect to make your business’ content in visually appealing and grab the attention of huge traffic. It is fluid responsive in nature that automatically adapts to all devices and work smoothly. It is a widget ready theme with several widget variations which let you nourish your website with advanced functionality. 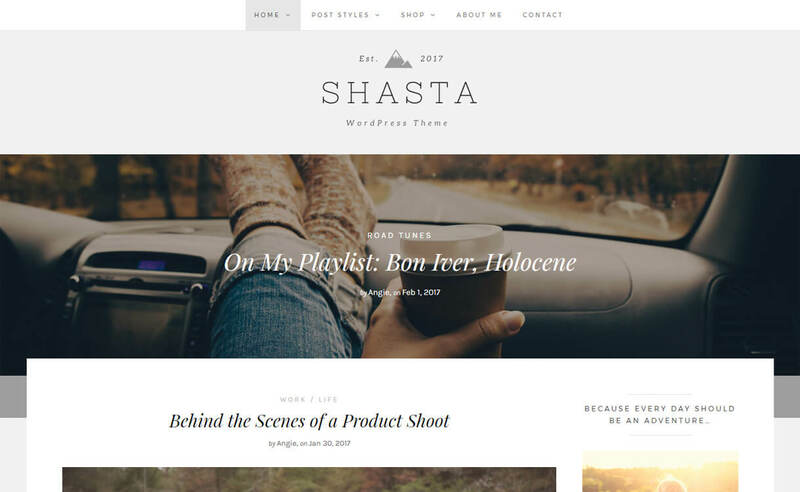 Shasta is a classic and elegant blog theme with lots of powerful features and options including multiple homepage layouts, custom widgets to help enhance your site’s functionality, and 9 custom post types that you can use to feature music, podcasts, videos, image galleries, and more. Unlimited color and typography options mean you can style the theme to look just the way you want. Easily customize your site using the user-friendly WordPress customizer. Moreover, you’ll find social sharing options, full eCommerce support, SEO tools, and extensive theme documentation to guide you along. 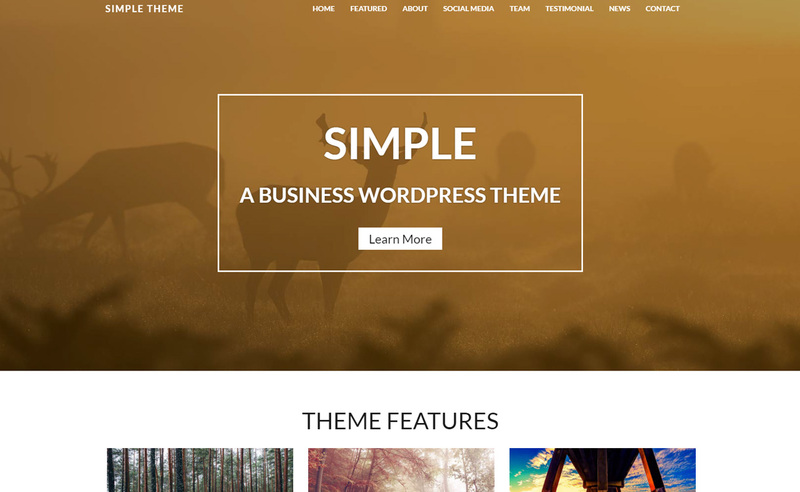 Troy is a quality WordPress blogging theme with great features and stylish modern design. It offers you lots of customization possibilities and allows you to set special settings for your various posts, page and more to personalize your website and make it different and better than others. The theme is well compatible with the latest WordPress version so, your website is also updated whenever WordPress is updated. 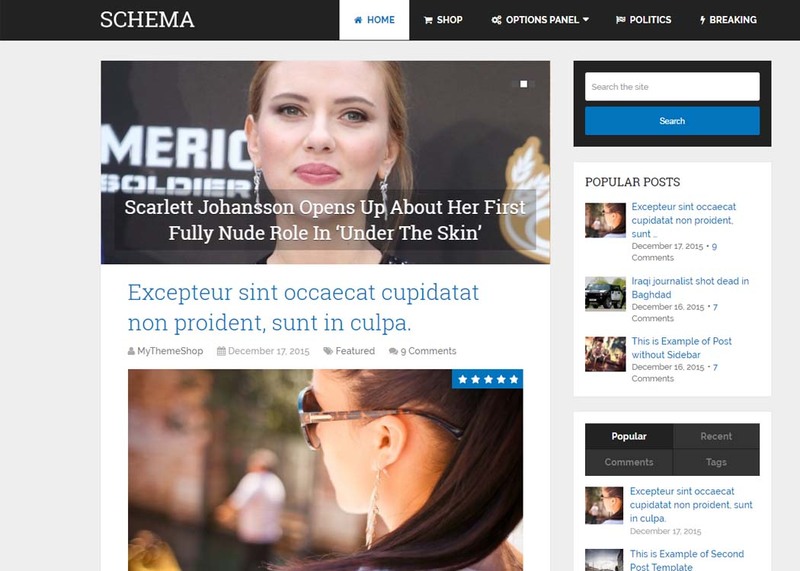 Schema is a pixel perfect WordPress blog theme with custom options panel. 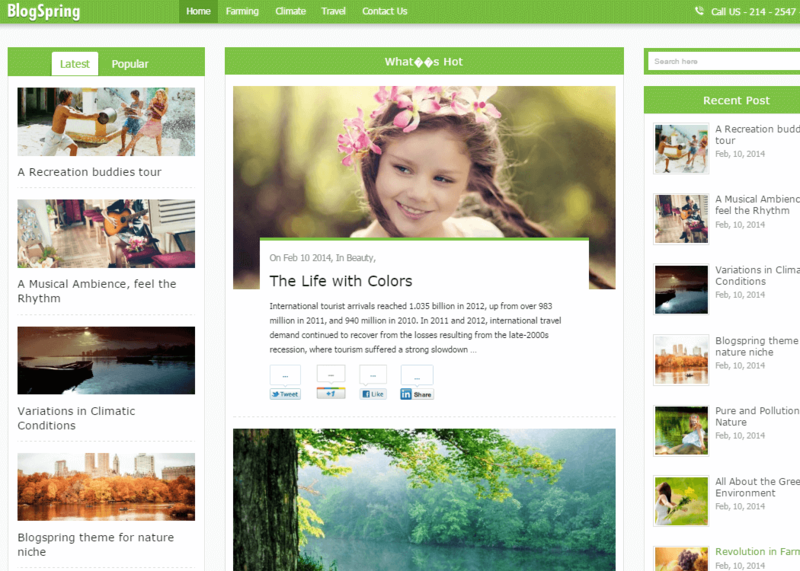 It is an easy to use theme with lots of exciting features, clean shortcodes, and widgets. You can fully customize the theme, add widgets of your choice and promote your website in your own way. Your site’s ranking is not a problem with this theme as it includes rich snippets and follows the best SEO practice to place you in a higher position. 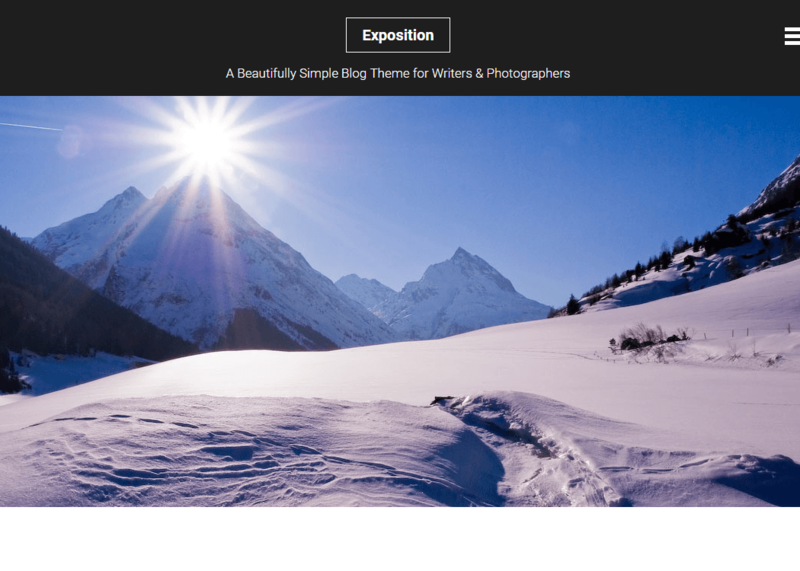 Exposition is a clean and beautiful Premium WordPress blog theme with everything that you needed to create a successful blogging site. It comes with a fully responsive design that looks great on any devices and can be transformed into any language of your choice. It enables you to make easy and quick changes like upload logo, change style, colors, add tracking script, etc. right from the theme customizer. This fastest loading theme with advanced typography is specially optimized for simplicity and clarity. 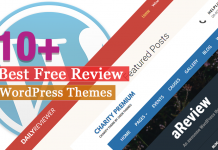 BlogSpring is a beautiful premium WordPress magazine and blogging theme, packed with all essential powerful features. It is a complete solution for both magazine website and blog websites. The theme is integrated with Facebook and Google Commenting system which makes your website engaging and socially alive. With this awesome theme, you can adjust the width of the page container according to your screen. 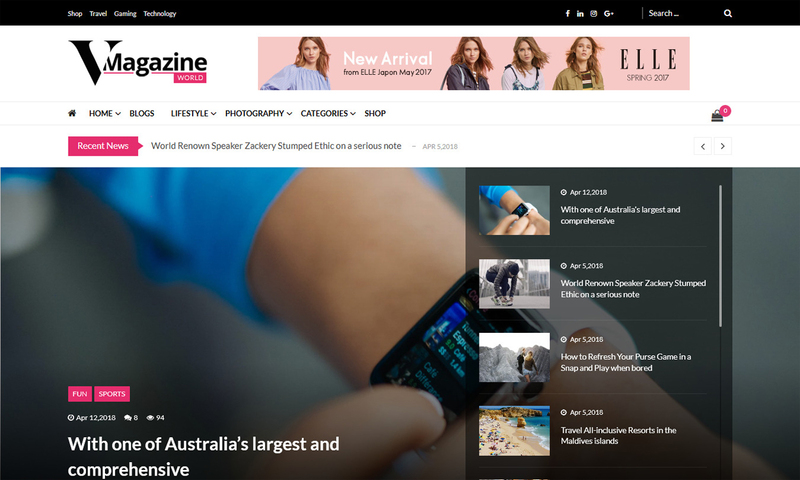 You may also like to see our list of the best free magazine WordPress themes. 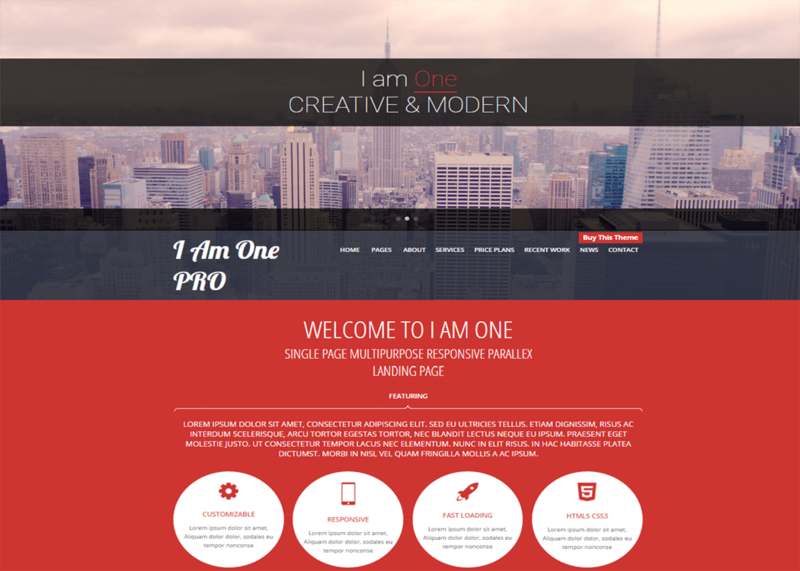 I Am One is an elegant premium one-page style WordPress theme that comes with smooth parallax effect. It is loaded with lots of features, useful sections and all other elements required to create a complete website. 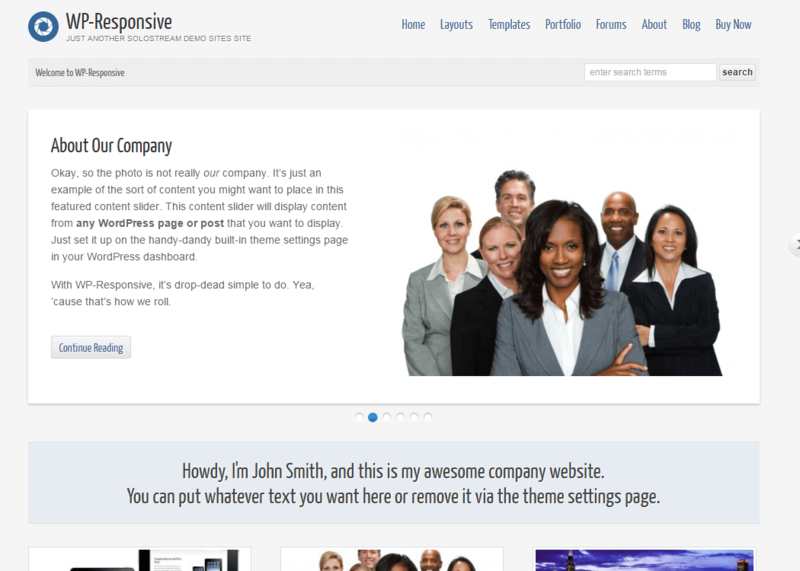 The theme includes a sortable gallery, default parallax slider, multiple page templates, 450 web icons and much more. You can easily configure its each and every element and instantly live preview the changes. 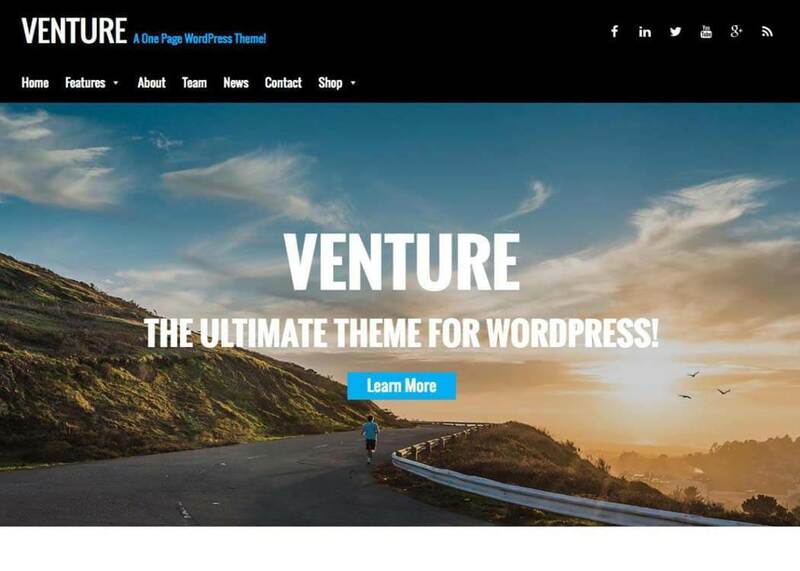 Venture is a powerful one page WordPress theme suitable for businesses, freelancers, creative agencies and any other organization/company. It is a mobile friendly theme with the awesome parallax effect that showcases your content in an elegant way. The theme allows you to customize the design, colors, font, layouts and many other elements right from the customizable options panel . If you want more functionalities, the theme lets you access to the Nimbus Shortcode library that stores plenty of clean shortcodes and scripts. 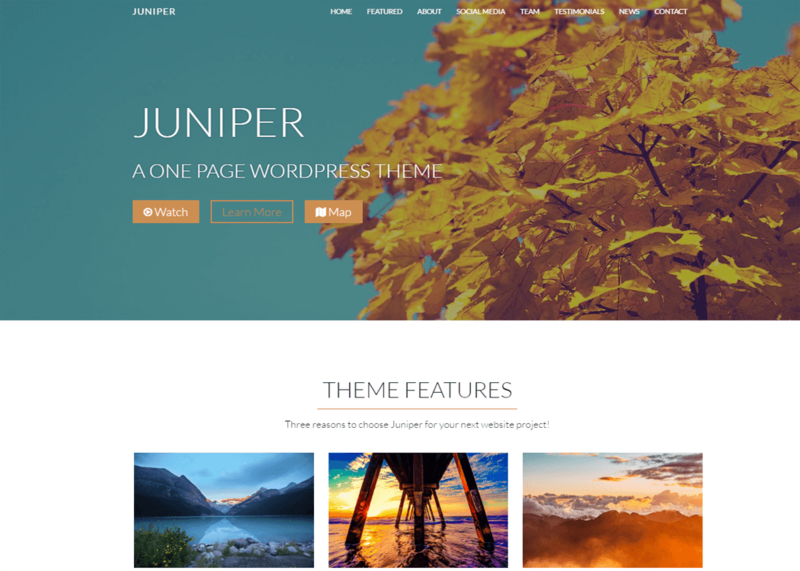 Juniper is quality rich premium WordPress one page theme with a modern sleek design. 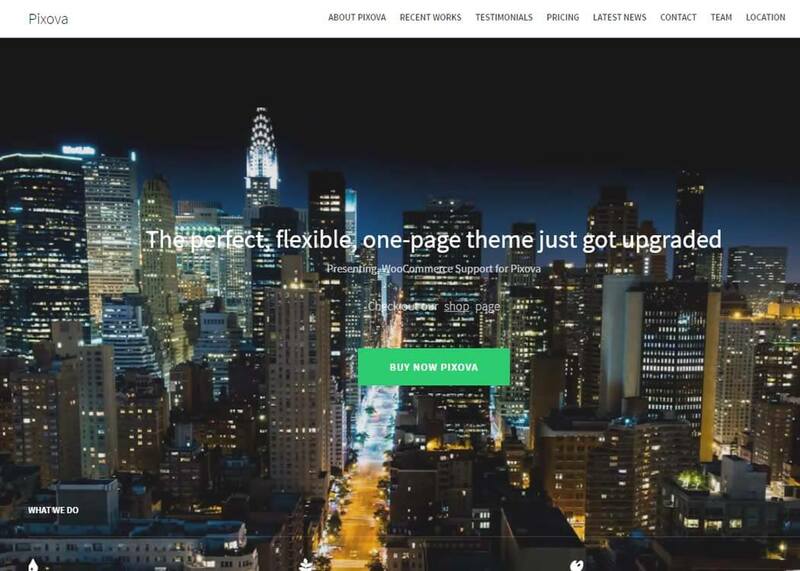 With this theme, you will get everything you need on a single page along with the smooth parallax effect. In this theme, all the sections and content are systematically arranged that looks great on all screen sizes and functions well with all browsers without any complexion or error. It is a fully customizable theme with various page templates that lets you create and manage your website in few minutes. Novel Pro is a mobile-friendly premium one page WordPress theme with intuitive user interface. It is fully based on live customizer that enables you to customize its almost all the aspects and see the changes instantly. The theme comprises various useful sections on the homepage that can be easily managed as per your need using section order features. It is coded with a clean and SEO friendly code that helps you to make a good and stable position in search engines. Pixova is an innovative premium WordPress theme with trending one-page design. The theme comes with the stunning features and elegant design with the parallax effect that is sure to mesmerize your client and lead your business to the next level. It is a highly customizable theme with lots of customization capabilities that lets you design a perfect website within no time. It includes unlimited Google fonts, unlimited retina ready icons, unlimited color scheme, built in update system and much more. You may also like to see our list of the best free One Page Parallax WordPress themes. 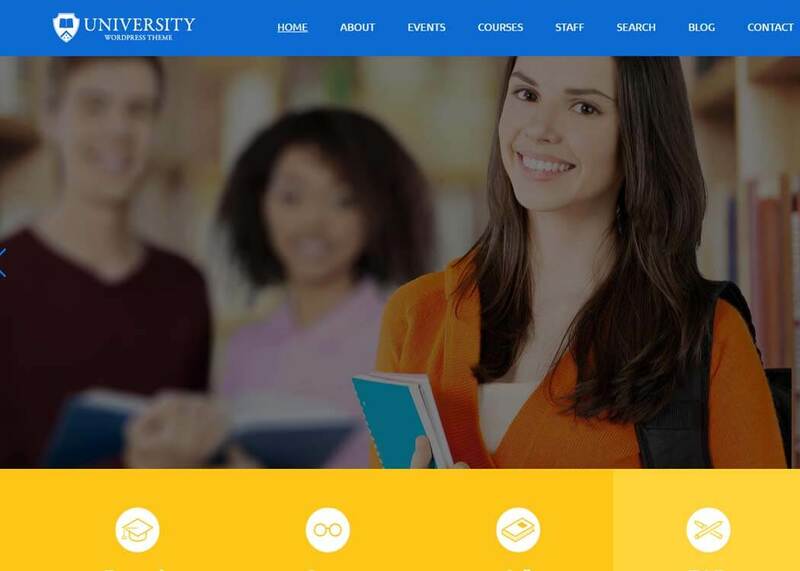 College is a feature rich premium WordPress education theme suitable for university, school, colleges and other academic institutions. It is based on the Twitter Bootstrap Framework,which has made it super responsive and user-friendly theme. It is the best education theme that one can get, it includes all the required sections and allows you to add unlimited courses or department and create unlimited modules with lots of options. It is a clean and minimal theme with fast loading speed and super flexibility. 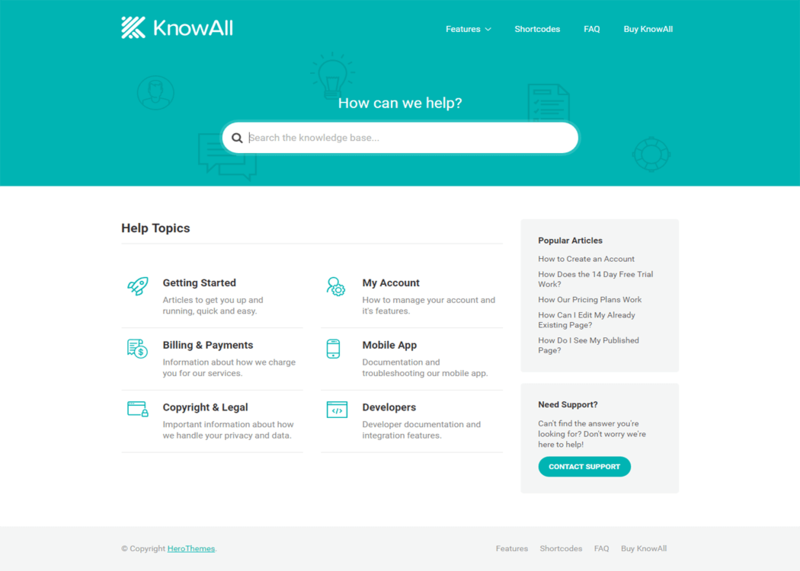 KnowAll is a unique knowledge base WordPress theme with a clean and minimal design. It is a responsive theme that works great with all available devices ranging from desktop to mobile device.It also provides actionable analytics from your knowledge base. It provides quick and dedicated support whenever you need. Th theme is easily customizable – you can change its color, logo and much more in just one click without using codes. 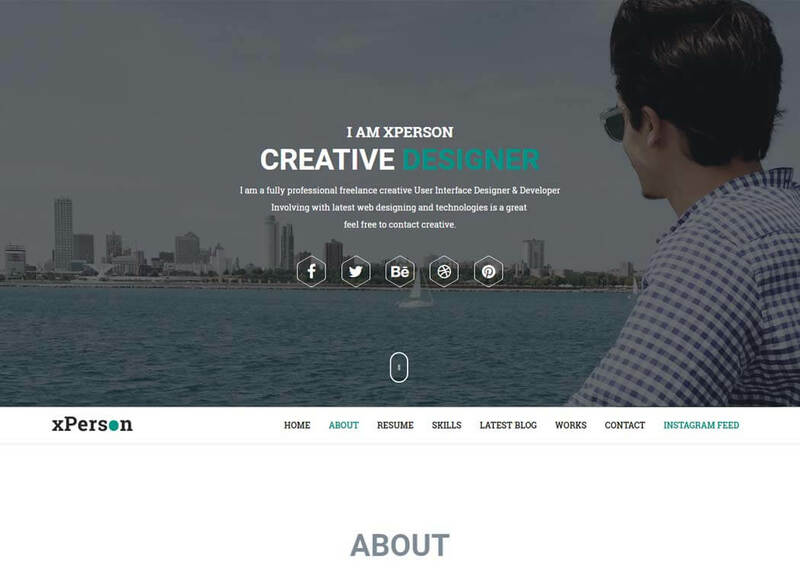 xPerson is a responsive WordPress portfolio theme which enables you to create a complete portfolio or CV website in no time. It is a perfect theme for all types of professionals and agencies to showcase their previous work, glorious achievements, awards etc. It comes with a beautiful parallax scrolling one-page design, unique and stylish layouts for various homepage sections and lots of customization options. It features 4 beautifully designed home pages: IT professional, fashion designer, musician, and architect. The Monday Pro is a modern WordPress theme for portfolio and business websites. Built on trending one-page parallax scrolling design, it offers an elegant layout for a CV/ portfolio websites. The theme is completely based on Live WordPress Customizer offering you an easy and instant access to customizing the complete theme with live previews. The theme homepage is a beautiful arrangement of the stylish sections like services, blog, portfolio, testimonial, our team, pricing table etc. You can add, remove and re-order all of the sections and create a website of your own. Zincy Pro is basically a multipurpose WordPress theme which can be used for business or portfolio websites. It offers a beautiful responsive layout, highly customizable design, and plenty of awesome options. It features inbuilt full-screen sliders, sticky menu, multiple page/ post layouts, event layouts, portfolio layouts, etc. It supports WooCommerce, WPML, bbPress and all the other major WP plugins you may require for your website. It is built with Customizer tool which allows you to customize the complete theme with real-time live previews. Responsive is a simple and basic theme for creating portfolio websites. It is a good choice for you if you are looking for a theme a the lower price. As the name suggests, it is a fully responsive theme that adapts well to all the devices regardless of the screen size and resolution. 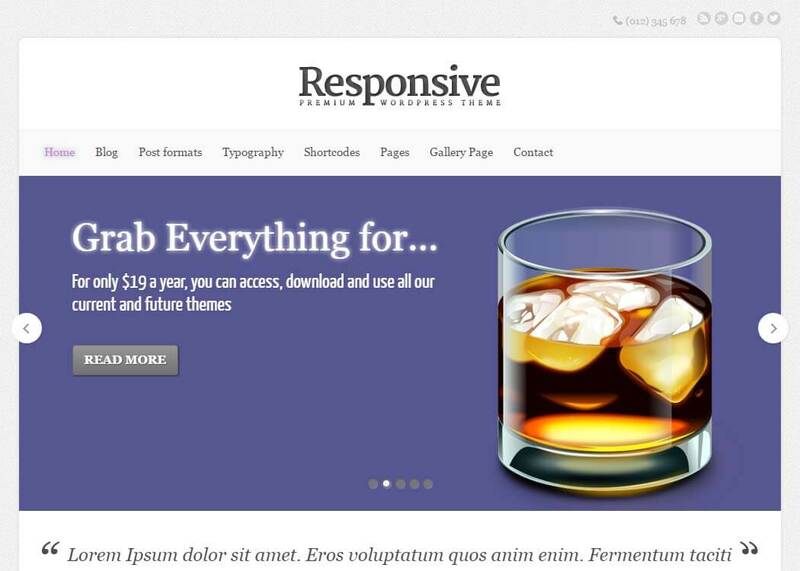 Responsive 2 theme features a sleek design, sliders, beautiful blog page etc. You may also like to see our list of the best free Portfolio WordPress themes. As I stated earlier, it is a hard work to select the right theme for your project. I think this collection of the best premium themes helps you to systematically navigate your theme search and pick a perfect theme for your next project. If you have any suggestions or want any other theme in the list, feel free to write in the comment section below. Also share your experiences with any the themes in my list if you are already using them. You may also like to see our extensive list of the best free responsive WordPress themes. 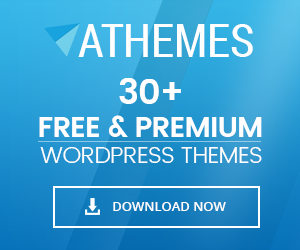 Hey Buddy!, I found this information for you: "35+ Best Premium WordPress Themes and Templates 2019 [UPDATED]". Here is the website link: https://wpallclub.com/best-premium-wordpress-themes-templates/. Thank you.